Three Bar booths opposite to the main cocktail station at The Ladybird Bar, this space is in the centre of all the action, with flexible seating and standing arrangements able to fit up to 50 standing and seated. 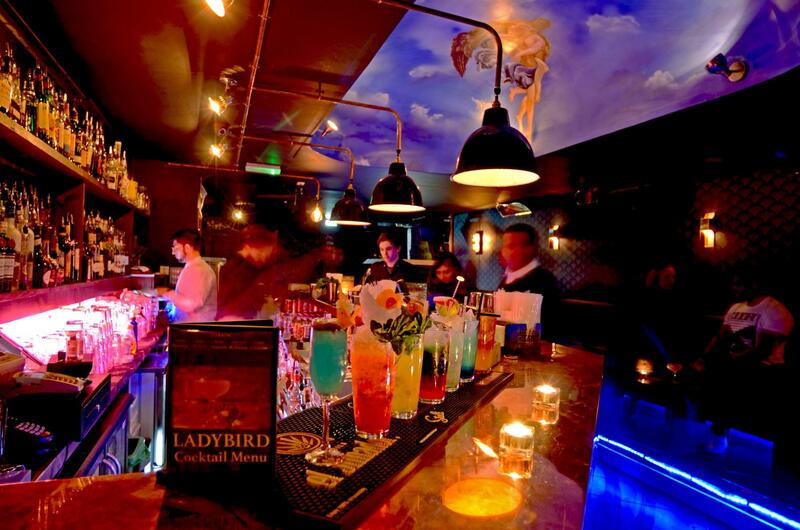 The Ladybird Bar is one of Islington's iconic Late Night Venues brining Cocktails and Late Night Tales to Upper Street for the Past Decade. 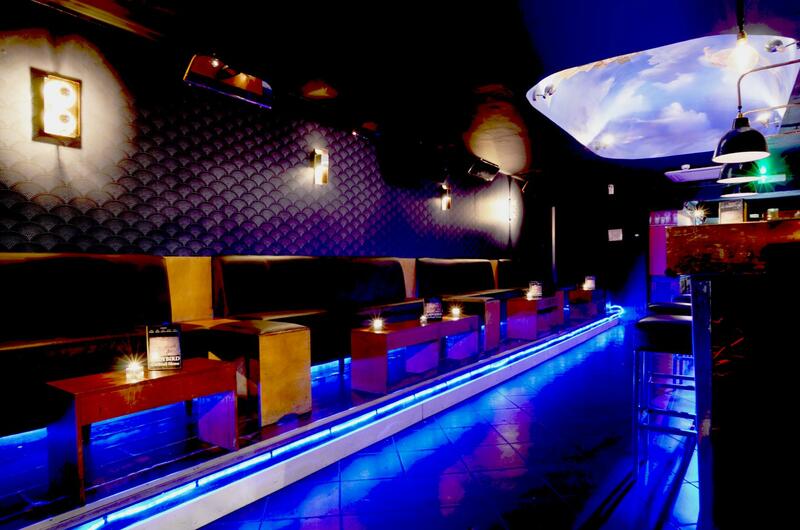 With an upstairs Cocktail bar and lower level venue The BSMT providing Islington with the best underground gigs in Islington on most Weekends, The Ladybird Bar is the perfect venue to party in any day of the week. Our Door Policy is Smart Casual, We are a 21+ venue, We like people to have fun in our venue but our priority is always the safety of our staff and other customers. 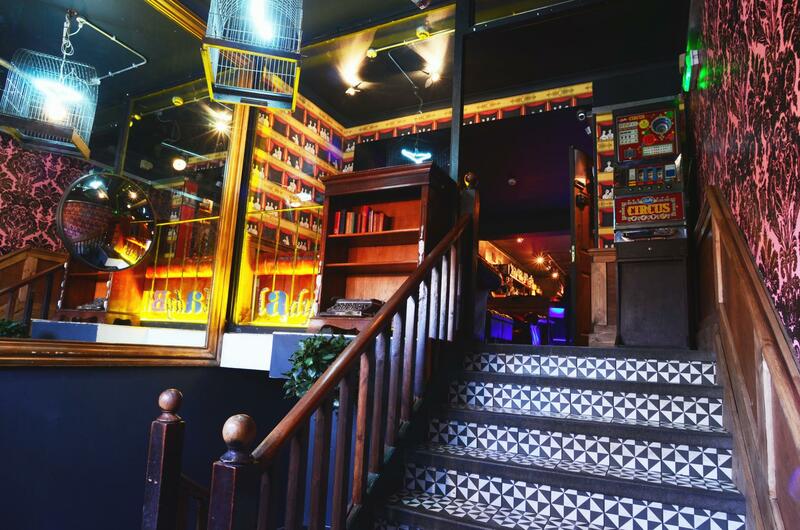 We are able to arrange for extra security for your event, and entrance into The Ladybird Bar is always at the discretion of the door and security staff. 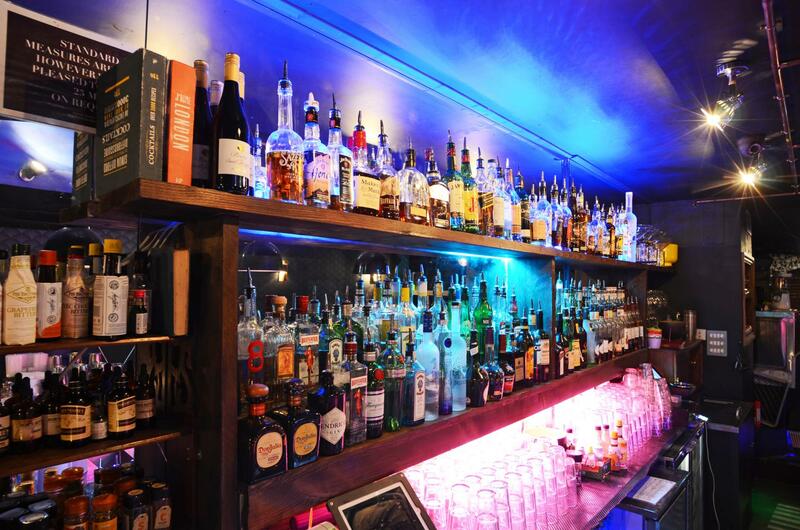 We do not allow overly drunk or disorderly people into our venue. 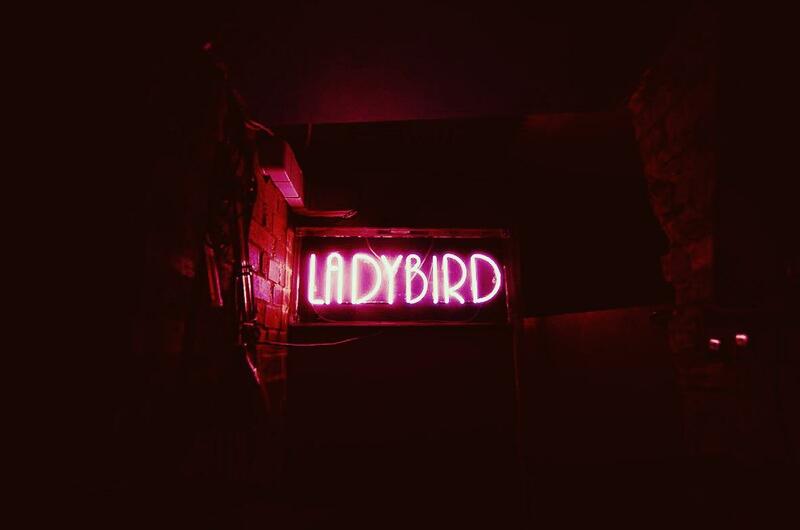 The Ladybird Bar is Unique and Iconic venue that has stood at the heart of Islington Nightlife for the past decade. 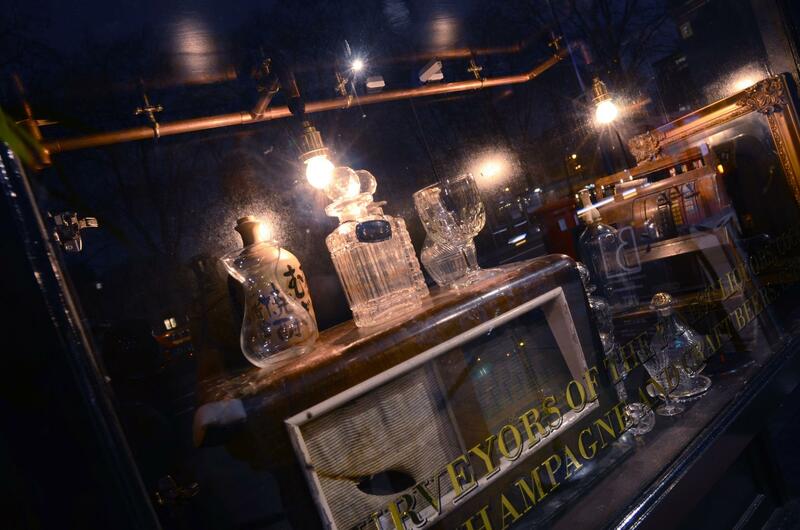 Primarily known for it's forward-thinking cocktail creations and late night parties, The Ladybird Bar's characterful interior seeps classic eclectic charm and it's European influences are not left unnoticed! 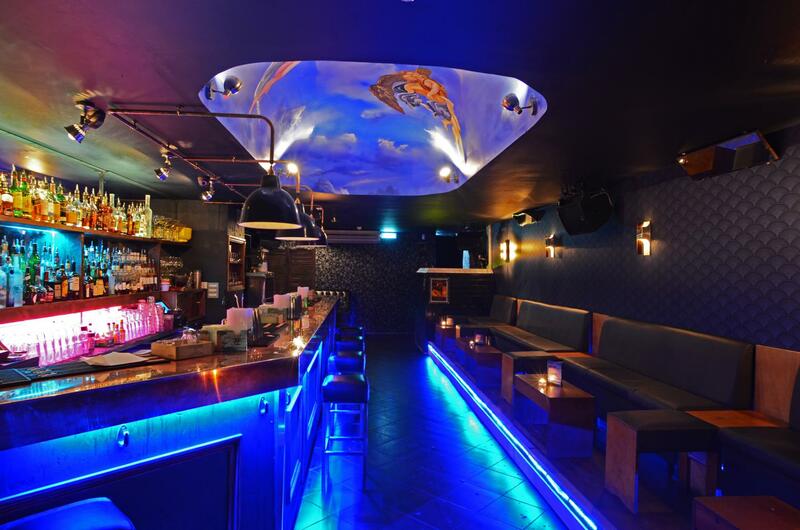 The Ladybird Bar's unique downstairs space The BSMT is it's a secret gem, a 110 capacity urban underground space decorated with neon signs, French art and it's own Miami Vice styled bunker bar create a perfect backdrop for any happening any day of the week.